"In the same way, the Son of Man did not come for other people to serve him. 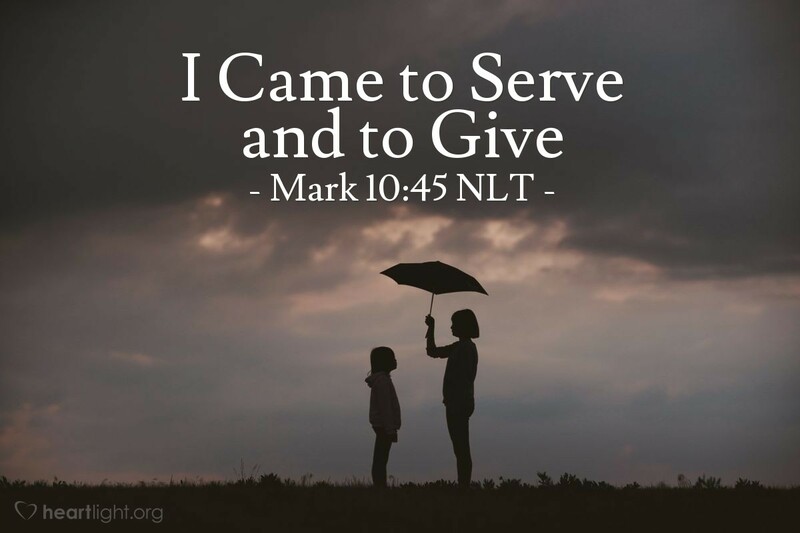 But the Son of Man came to serve other people. The Son of Man came to give his life to save many people." Here is the heart of our Hero given in one simple statement. We are to serve and sacrifice for others. It is our legacy. It is our life. It is our Lord's example. We were bought and brought to freedom by the ransom price he paid. We are now called to follow his example and live his life in our world. O Father in heaven, use my life to your glory and to the blessing of others. In Jesus' name I pray. Amen.